A spirit of wonder hangs in the air, the name of Jesus is literally everywhere. Lights, trees and Nativity scenes and Christmas classics on repeat. Ahhhh! 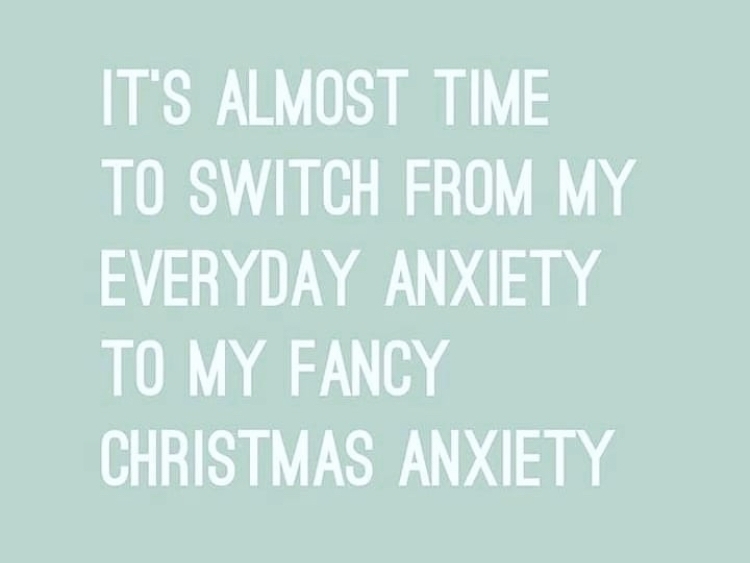 The feeling of Christmas. Also - so much traffic. Why is there so much traffic? Where did these people come from? Where are they normally hiding? The longest checkout lines ever. And there’s still cooking to do, traveling and most likely a dash of family drama hiding somewhere. In the words of the great theologian Ellen Griswold: “I don't know what to say, except it's Christmas and we're all in misery.” It’s the most wonderful time of the year, right? I don’t know who should get credit for this meme but I had a good chuckle when I saw it. Tell me I’m not the only one? This week we focus on Peace. Until recently, I had a debilitating fear of tornadoes. Not a good fit for living in an area prone to severe weather. How many tornadoes have I actually experienced? Zero. Last year, I was listening to Ray Hughes tell a story about his grandmother’s fear of storms and how she died on the way to the cellar for what turned out to be a rain shower. Even though I was sitting in the room with a few hundred people, it seemed like he was telling the story specifically for me and I knew in that moment I couldn’t let fear control me anymore. I introduced myself to him after he spoke and he quoted Psalm 34:4 “I sought the Lord, and he answered me and delivered me from all my fears.” The words came alive and spoke straight to my soul. It’s not just about storms. I don’t like to say that I have anxiety. I don’t like to give it power. But increasingly over the past few years, I’ve faced it more. It’s the kind that comes out of nowhere and sits heavily on your chest making it hard to take a deep breath. The frustration of not being able to shake off irrational fear. The kind that starts to make you wonder if you’re going crazy. The more I’ve encountered anxiety, the more I’ve learned to fight it. Start a collection of verses and songs about peace. Use the words of scripture to write a song or create a visual reminder. Follow neuroscientist Dr. Caroline Leaf on social media for mental self-care tips. Read Phillipians 4:8 “Whatever is true, whatever is honorable, whatever is just, whatever is pure, whatever is lovely, whatever is commendable, if there is any excellence, if there is anything worthy of praise, think about these things.” Then come up with examples for each word. One of the “lovely” thoughts I focused on throughout the past year, is having a cute, chubby 6 month old at Christmastime. As silly as it sounds - this is what I was visualizing the day school was cancelled due to tornado threats. 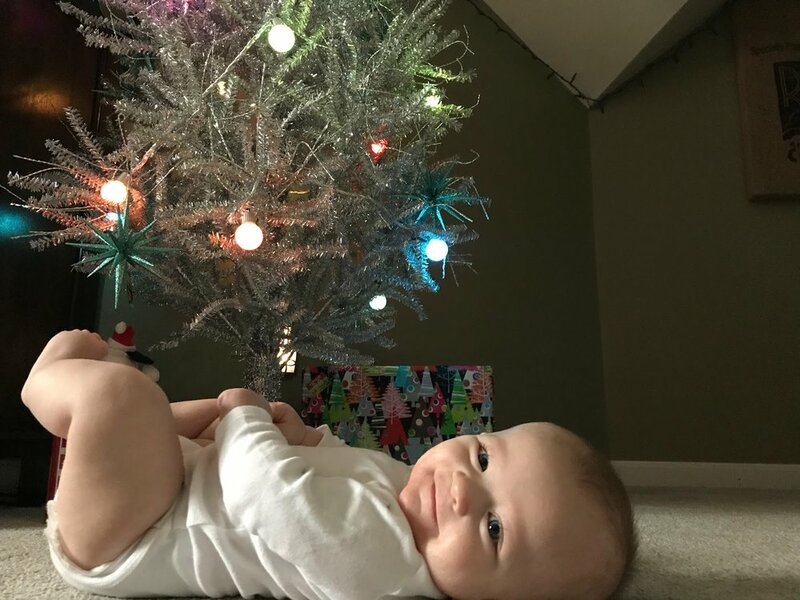 The day my son was born through emergency c-section, I was picturing Christmas. Ephesians 2:14 says “For he himself is our peace…” In other words, Jesus is freedom from disquieting or oppressive thoughts or emotions. Isaiah 9:6 “For to us a child is born, to us a son is given; and the government shall be upon his shoulder, and his name shall be called Wonderful Counselor, Mighty God, Everlasting Father, Prince of Peace.” I pray we are able to find both definitions of peace during this Advent season. So many Christmas songs mention peace. What is one of your favorites?